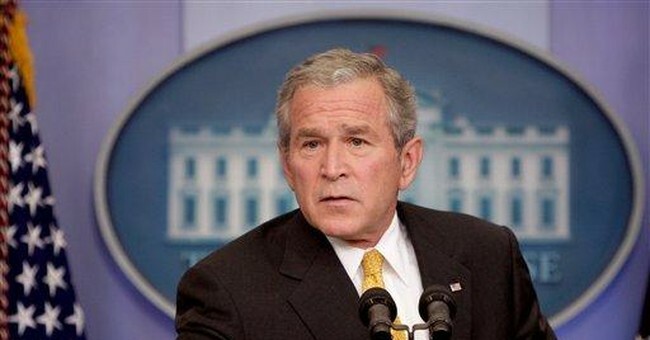 The Bush Doctrine: Can We Effectively Impose Democracy? Secretary of State Condoleezza Rice has produced a compelling essay for the current issue of Foreign Affairs which addresses the “new realities” which inform the Bush Administration’s foreign policy, specifically as it relates to the imposition of democracy in previously non-democratic states. Secretary Rice makes the case that only by establishing democratic states in volatile regions of the world can the United States hope to secure its interests. She readily admits that such a policy is a historic departure from previous administrations. ... It is vital to our national security that states be willing and able to meet the full range of their sovereign responsibilities, both beyond their borders and within them. This new reality has led us to some significant changes in our policy. We recognize that democratic state building is now an urgent component of our national interest. And in the broader Middle East, we recognize that freedom and democracy are the only ideas that can, over time, lead to just and lasting stability, especially in Afghanistan and Iraq [emphasis added]. The Bush administration’s approach to [the Middle East] has been its most vivid departure from prior policy. But our approach is, in reality, an extension of traditional tenets—incorporating human rights and promotion of democratic development into a policy meant to further our national interest. For the United States, promoting democratic development must remain a top priority. Indeed, there is no realistic alternative that we can—or should—offer to influence the peaceful evolution of weak and poorly governed states. The real question is not whether to pursue this course but how. We first need to recognize that democratic development is always possible but never fast or easy…. Nations of every culture, race, religion, and level of development have embraced democracy and adapted it to their circumstances and traditions….The fact is, few nations begin the democratic journey with a democratic culture. The vast majority create one over time—through the hard, daily struggle to make good laws, build democratic institutions, tolerate differences, resolve them peacefully, and share power justly. Democracy, it is said, cannot be imposed, particularly by a foreign power. This is true, but beside the point. Beside the point? With all due respect to Secretary Rice, the Founders of American Democracy would argue that democracy could not be sustained without Christian virtue at its foundation. Such a necessity makes the implementation of democracy in Islamic states not merely “messy” but arguably impossible without a fundamental change in their religious worldview. Toleration and peaceful resolution are foreign concepts in the Islamic world. To suggest that the implementation of democracy in Islamic states may be merely “messy” is naïveté and disregards the religious worldview upon which the 9/11 terrorists depended to justify their actions. The ideal of freedom in all of its various expressions (speech, religion, etc.) has its source in Christian principles, principles not only foreign to the adherents of Islam, but hostile towards them. Although the United States’ ability to influence strong states is limited, our ability to enhance the peaceful political and economic development of weak and poorly governed states can be considerable. We must be willing to use our power for this purpose—not only because it is necessary, but because it is right. Necessary for whom? Right for whom? When does it become apparent that America is preying on “weak and poorly governed states” to serve our own ends while doing so under the guise of “benevolence” and “national interests”? I love America. I believe its democratic form of government is the last best hope for mankind. But as a Christian and a Calvinist I am also fully aware of man’s propensity to serve his own self-interests rooted in his sin nature. Only the imputed righteousness of Jesus Christ can save a man from himself. And only men operating from the ideals of that radical change can be said to be truly benevolent in their intentions toward their enemies. Since 2001, the president has requested and Congress has approved a nearly 54 percent increase in funding for our institutions of diplomacy and development. And this year, the president and I asked Congress to create 1,100 new positions for the State Department and 300 new positions for the U.S. Agency for International Development. Those who follow must build on this foundation. The expansion of government bureaucracy as an answer to any problem is not a conservative ideal. Much of her essay is informative and compelling as we seek to understand the realities that inform Bush’s foreign policy. But the notion that we can implement democracy by force because our national interests demand it, and the call for a willful expansion of government bureaucracy to achieve that end, I find to be an affront to the historic conservative approach to foreign policy.